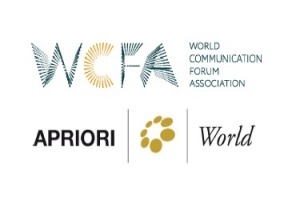 Held under the auspices of the WCFA association by its corporate member APRIORI World (Croatia). Initiative suggested by APRIORI World's CEO, Mr. Danijel Koletic. Organized in the shape of lectures intended for university students and young specialists! FREE - for all members and partners of the WCFA association, as well as invited guests! LINK will be shared with INVITED GUESTS only! Global WCFDavos experts to participate as lecturers!!! Lecture 1: "The Digital Self"
Lecture 2: "PR hacking or How to hack productivity & content creation"
Lecture 3: "The Smiley Emoticon's Birth"